If you like surveys, but are interested in other ways of earning rewards online, GPT Sites (Get-Paid-To Websites) might be worth exploring. GPT programs are websites where you can earn rewards by participating in different types of activities including completing surveys, watching videos, playing games, doing web searches, filling out offers, and more. They are not run by market research companies, but the big, trustworthy players have millions of members, millions of dollars in payouts to members, and have been around for many years. Unlike survey sites, there are opportunities to earn points daily, and payment thresholds are often quite a bit lower too. 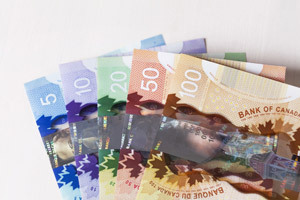 Rewards options are PayPal payments, payment cheques, or gift cards and luckily for Canadians, there are plenty of ways to earn. Once you join a GPT site, the first thing you should do is follow them on social media. Many sites regularly post special codes which you just have to copy and paste into your account to earn free points. As well, easy contests are posted on social media as well, so you might be lucky to win a bunch of points too. Some sites have fun games you can play like card games where you guess a card, or other easy games you can play daily to earn easy bonus points. If you have a network of friends who like earning online, make sure you refer them to the gpt sites you’re part of. You’ll earn a percentage of their earnings, and can sometimes even get a percentage of their friends’ friends earnings! Founded in 2007, with over 8 million members and $16 million in payouts to members. Earn your first reward with just $5 of earnings in your account. Founded in 2005, with over 13 million members and over $285 million in payouts to members! Get your first reward when your account reaches a $25 balance. Founded in 2014, with over 50 million awarded to members across their network of websites. Get a PayPal payment with $30 in your account. Founded in 2011, with over 1 million gift cards awarded to members. Receive your first gift card with just a $1 balance. Founded in 2002, this old-school website actually has a stellar reputation. Get paid by PayPal within 72 hours of request with a $0.01 minimum! They have over 7 million members and offers payment options such as PayPal ($8 minimum) and payment cheques ($10 minimum). Over $1.5 million has been awarded to their members, and PayPal payments or gift cards including Amazon are available at just $5 in points.